Oil painting on canvas based on photos of a small stream in the "Orchards" open space, adjacent to the Hidenbrooke neighborhood of Vallejo California. which is managed by the Solano Land Trust. This painting was included in a show at the Vacaville Museum as part of a series of art shows that benefited the Solano Land Trust in 2012. It later was included in the Crocker Museum of Art's (Sacramento, California) annual fund-raising auction where it was sold. 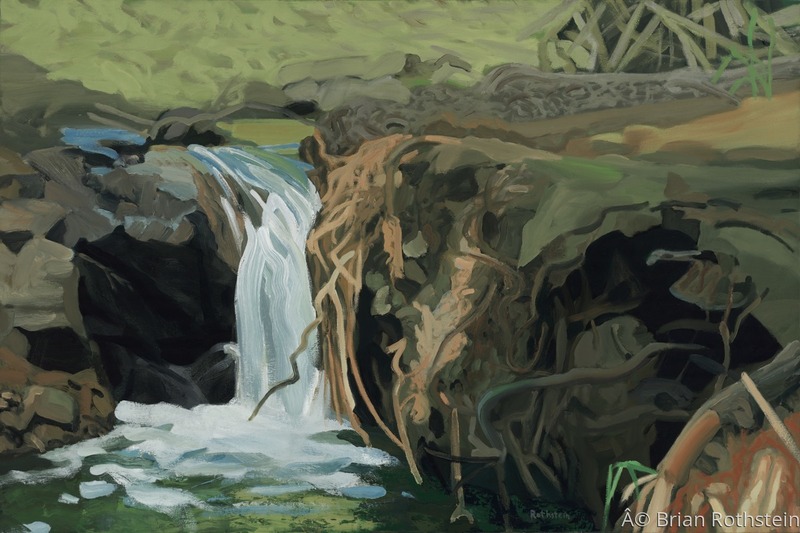 The inspiration for this piece was the simple feeling of groundedness and connection to earth I got when encountering this waterfall. Plus, I love painting and drawing waterfalls and water in general.